I have a soft spot for the G1. It has always struck me as a cozy route and is probably the most friendly bus on which I have ever travelled in London. However, not everyone is a big fan of the route, so Transport for London are consulting on re-routing it for part of its journey through the Shaftesbury Park Estate. In essence, the proposals would mean that on its journey southbound it would remain on Eversleigh Road, rather than travelling half-way along Eversleigh Road before turning up Grayshott Road and then along Sabine Road before leaving. 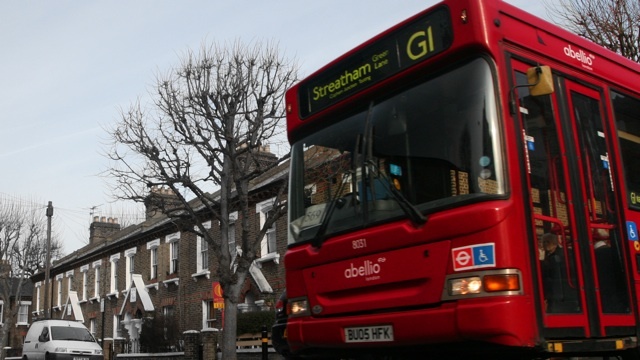 TfL made the proposal in response to complaints residents of Sabine Road made to the council about, among other things, speeding buses, damage to cars and traffic congestion caused by the buses. To deal with the bread-and-butter of the issue first the formal consultation runs until 12 July, and a letter and map of the changes should have been sent to all households in the area. However, following the negative response from Eversleigh Road it looks like they will be extending that consultation period. As councillors we are trying to organise a public meeting on the issue in conjunction with TfL. If you would be affected, positively or negatively, by the proposed changes I encourage you to respond directly to TfL. Less straightforward is how to satisfy everyone. Or, if you assume that not everyone can be satisfied, how you achieve the most satisfaction for residents. The G1’s route was changed fairly recently. Until a few years ago its southbound journey took it on a dog-leg out of the estate via Eland Road. While that change was not universally popular I have no doubt that Eland Road was unsuitable for a bus, aside from being a fairly steep hill, there are no natural passing places and the entry onto Lavender Hill is narrow. To my mind—which is only that of a mildly well-informed layman on traffic management matters—the arguments between Eversleigh and Sabine Roads are less clear. Indeed, they are so unclear that some of the arguments can be made both ways depending on viewpoint. One argument raised is that the change will mean some less mobile passengers will have further to go to catch the bus. The obvious counter argument is that some less mobile passengers will not have to go as far to catch the bus. But cherry-picking that argument should not detract from some of the real concerns about the impact on traffic at the junction, the loss of parking spaces on the final corner and the impact of the bus on a road that already has significant noise issues from the railway line to the north. At the risk of being overly philosophical (and as ever, I considered self-censoring, before deciding to publish and be damned) there is a utilitarian dimension to the issue. There is clearly dissatisfaction with the current route from Sabine Road residents. There is also dissatisfaction with the proposed change from Eversleigh Road residents. Given that no-one is suggesting removing the route from the estate and there isn’t a magical solution that pleases everyone (unless I lack the imagination to see it) which option creates the fewest problems and least unhappiness? I’m happy to admit that, at this stage, I just don’t know. Indeed, this may be one of those issues where there is never enough concrete evidence to favour one option over another. I suspect that TfL are in a similar position, so whatever your views, I’d recommend making sure they know.